Plantation shutters are louvred panels fixed either on the inside/outside windows and doors. They originated in America and the West Indies and date back to times before the American civil war. Solid shutters are panels which have no louvres. Originally installed in reveal boxes either side of the window in pre-Edwardian houses and were usually used only a couple of times per year, when the owners decamped for the season. They were not designed to be opened or shut daily like our present designs and that is why so few remain today. Solid shutters come in a number of styles – solid raised, shaker and solid moulded. How long will it take to get my Shutters? Shutters are custom manufactured to fit individual openings and are ready for installation usually 6-8 weeks from the date of order and receipt of deposit. We believe we know the shutter market very well and we guarantee to always offer you a great deal so we hope we have already given you the most competitive price. 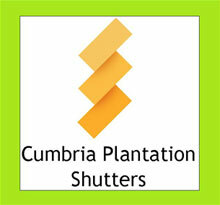 However, we also know that other businesses make special offers and discounts so if you have been offered a better price for EQUIVALENT shutters we would be happy to match your written quote and ensure that you enjoy Cumbria Plantation Shutters quality products, excellent service, support and advice. There are on occasions companies whose quotes we won’t match this is because we know the quality of their shutters, fitting service and after care is simply not of the same standard as Cumbria Plantation Shutters. We appreciate that customers like to stretch their budget a little further but we hope you understand that to maintain our high standards we will not match the prices of inferior products and services. Yes we will provide a supply only services based on the dimensions you give us. However, we always strongly recommend you have your shutters fitted by an experienced shutter installer. For a quick quote just measure the width and height of the opening of your window and door, we don’t mind if you use inches, centimetres or millimetres as we can do the conversions for you. Send us your details and we will be happy to give you an idea of costs for each of the shutter ranges that we supply. Can Shutters be installed in any window or door? Shutters can be installed in virtually any window, French door or patio sliding door. They can also be used effectively as rooms dividers or wardrobe doors, they can be fitted on tracks if required to suit your needs. If the window/door opens inwards they can always be mounted outside of the reveal. By-pass tracking allows for shutters to slide past each other and this is a great way of using shutters where there are overhangs preventing the panels from swinging out. Cumbria Plantation Shutters has a great range of colours as standard from natural wood effects through to painted and lacquered finishes, some Farrah and Ball finishes come as standard in our range. However if you have a particular colour you would like your shutters to be made in, so long as you can supply us with that colour shade we can usually match to your requirements. What information do I need to get a quick quote? You need the measurements for your chosen window/door and idea of what quality shutters. Enter your details onto the contact page and press send, and we will get back to you.